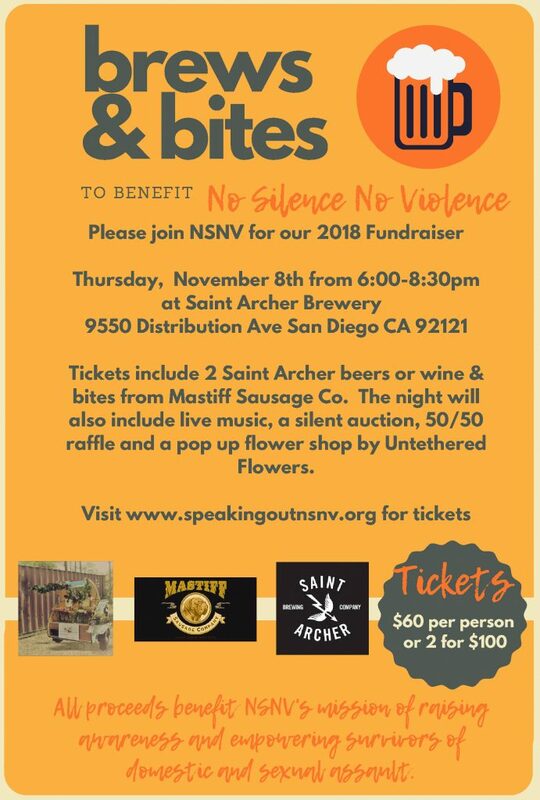 No Silence No Violence event at Brews & Bites Nov. 8th! Hi friends...I am giving support to my friend Tati who is a big supporter for this cause...a cause we ALL need to be behind! Domestic violence and sexual assault is UNACCEPTABLE and if you are a victim of or know someone involved...please reach out or help someone reach out for help.